I thought I might do an overview of my month in Thailand taking photos of birds now that it is coming to an end. 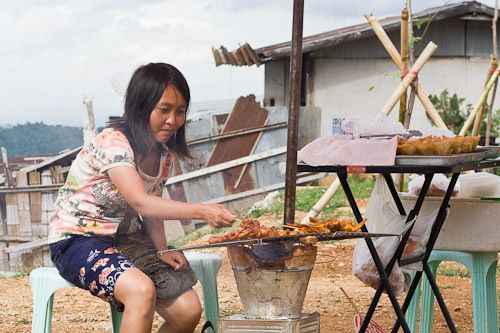 I started off down the south in Krabi, which was a bit of a disappointment. There were great mudflats and mangroves but they were mostly empty of birds. 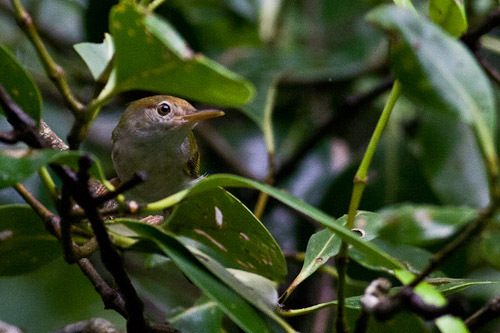 The only decent photo I got was of this Common Tailorbird. Then it was on to Ao Nang which was a bit of a dud too. Phang Nga was a bit better with lots more birds, the highlights being Dark-necked Tailorbird and Red-throated Tailorbird. There were no tourists there too which was a refreshing change. 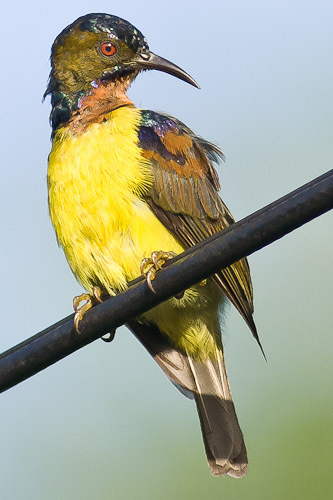 The best thing about Ranong was this male Brown-throated Sunbird, which obliged by perching on a wire and staying there in the sun while I took some great photos. 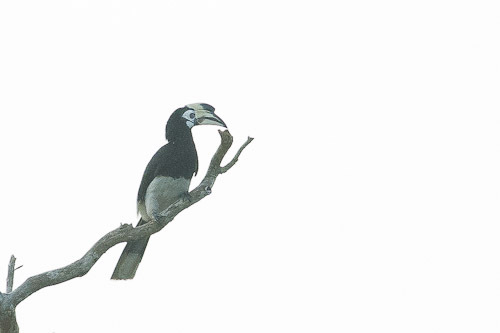 Koh Chang was a welcome stop by the beach where I saw lots and lots of Brahminy Kites and finally got a decent shot of an Oriental Pied Hornbill. Further north, Prachuap Khiri Khan was an unexpected gem with more shore birds than I had seen in Thailand thus far – Little Tern, Black-naped Tern, Little Heron, Pacific Reef Egret. And this gem, the Indian Roller. Next stop, Kanchanaburi and the Bridge on the River Kwai. 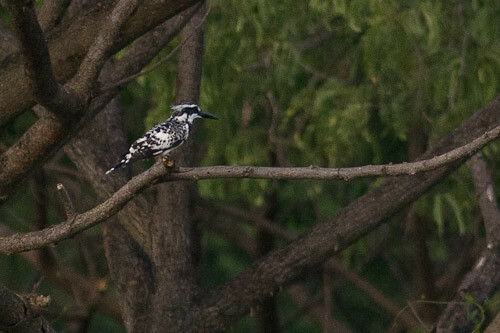 There were quite a few nice birds by the river near my guest house, including Red-backed Flowerpecker, Blue-tailed Bee-eater, Pied Fantail and Plain Prinia. 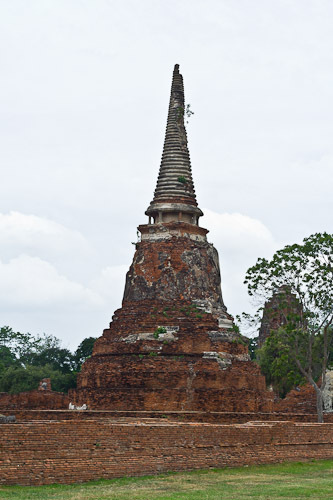 Ayutthaya has lots of old ruins and heaps of great birds scattered around the ponds beyond the old city canals. 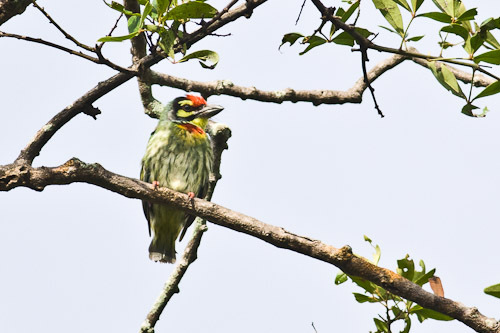 I saw some great birds, the most memorable being the Coppersmith Barbet. They were everywhere presenting themselves in the sun for some great photos. Another old city ruins at Sukhothai, still heading north. There were not many birds here, but they made up for it in quality, yielding a White-browed Crake and Spotted Owlet. 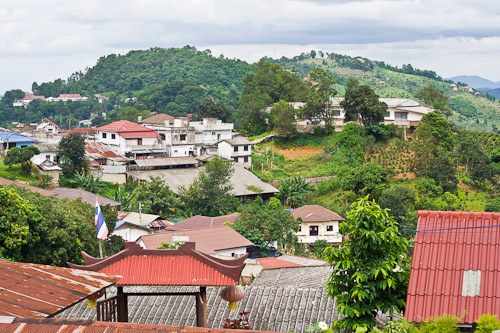 Then I headed off to Chiang Mai and Doi Mae Salong which yielded nothing. doh! Here is the complete list for Thailand. Doi Mae Salong is East of Chiang Mai going towards the Burmese and Chinese borders. The town was originally settled by the 93rd Regiment of the Kuomintang Army, which escaped from China after being defeated by the Chinese Red Army after the 1949 revolution. They supported themselves by becoming the opium warlords’ henchmen. 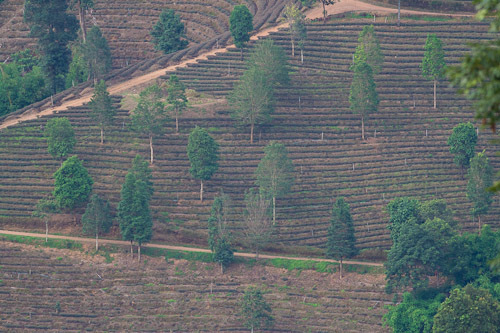 Nowadays the area grows tea and coffee. 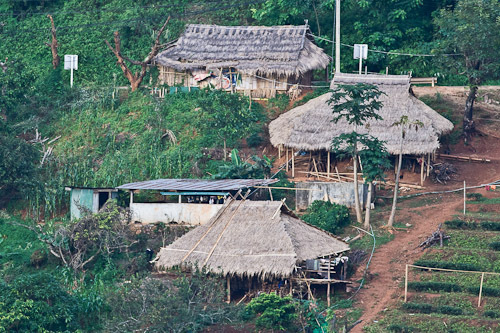 The town is spread out along a ridge and corn is grown up and down the steep hill-sides. I would hate to have to work these corn-fields. This young girl is grilling parson’s noses. I had one and I am not a fan of grilled parson’s nose. But it only cost me ten baht so who is complaining. 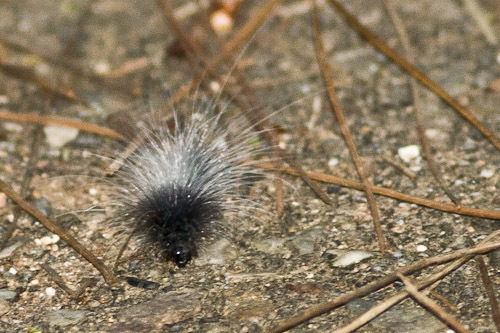 Late in the afternoon I went for a walk up the hill and all I saw was this hairy caterpillar! Well, actually I did see heaps of Eurasian Tree Sparrows and a few swallows, but that was about it. Very disappointing. This was down in a valley. 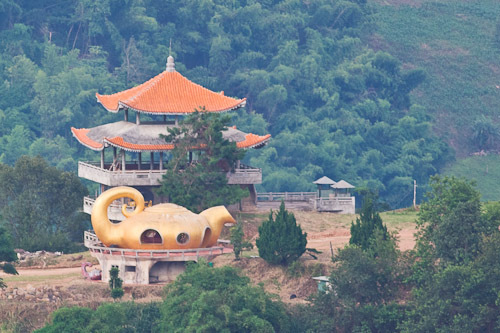 It looks a bit like Aladdin’s magic lamp to me. Weird. Not sure exactly what is growing here but it makes a nice pattern. 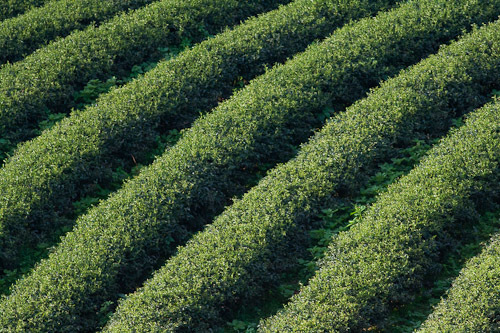 These tea plants make a nice pattern as well. 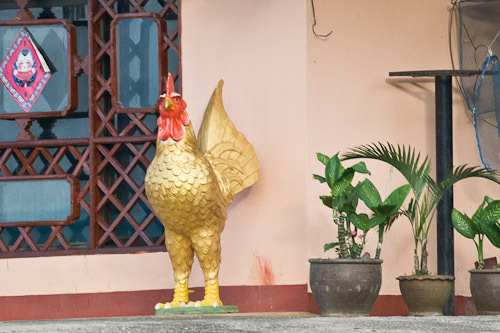 I saw heaps of these huge golden chooks around. I did my research and it seems to be a symbol for the Chinese Zodiac for people born in the year of the rooster. These people are supposed to be hard-working and decisive. There are quite a few of these huts dotting the hillsides around here. The roofs are thatched and the walls are made from split bamboo. Very cheap to make. 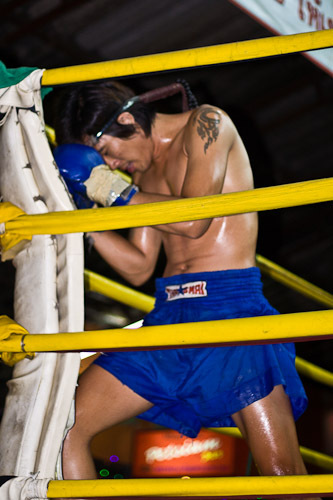 Thai Boxing in Chiang Mai. 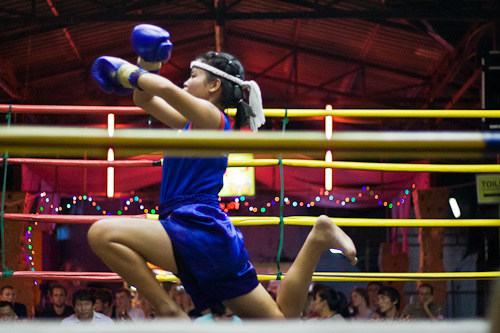 I had been wanting to see a Thai Boxing match ever since I got to Thailand but did not get the opportunity to get to one until last night in Chiang Mai. I had my doubts about it being a dodgy tourist show-piece, and it turned out to be partly that. 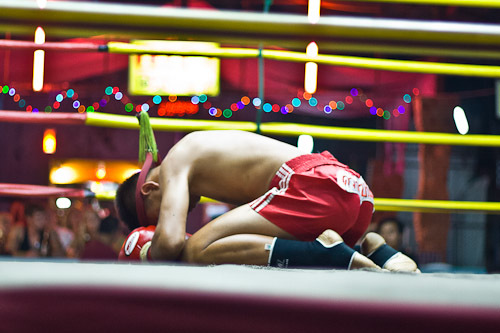 Before each match, the Muay Thai fighters go around the ring doing the ritual actions. 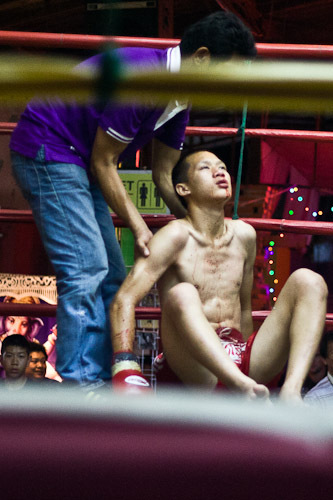 This guy got knocked out and had blood pouring from his nose. They eventually stopped the bleeding and he got up and seemed to be all right. They had a ladies bout as well and I was quite impressed by their toughness and aggression. They did real good. The girls get stuck into it. The girl in blue won the event but both of them displayed a lot of guts and determination. Before the fight, the boxers go around to each corner and do this little bow to it. 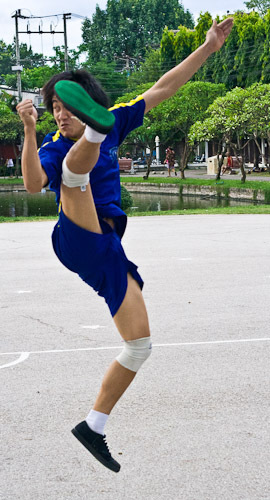 This guy won this bout and got in some really solid kicks. 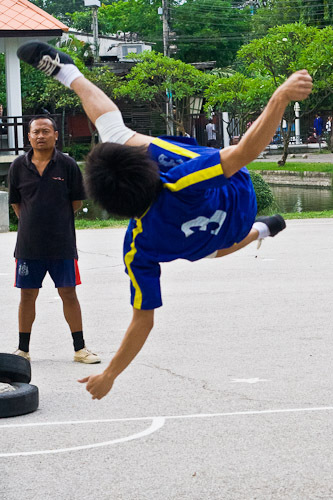 The other guy in blue kept kicking his calf muscle but it did not seem to faze him. I liked the way he kept his guard up all through the fight. Between rounds they get a rub down and have a drink and get sponged down and then they are back into it again. All in all, I thought it was an average night. Most of the fighters got stuck into it, but I think I should have gone to see the top fighters in Bangkok and with a crowd of Thais, instead of nearly all tourists. Oh and I forgot to say that fight photography is really really difficult. Me hat goes off to the professional fight photographers and any indoor sports photographers. I found a guest house in Chiang Mai called the Royal Guest House. It is anything but royal but who is complaining for five bucks a night. They have a swimming pool so I might try that when it gets a bit hot. 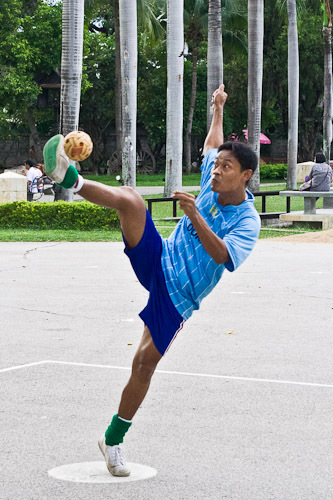 I stopped at the park and watched some guys playing Se Puk Tra Gor, which is like volleyball except you play with your feet and head and kick a rattan ball. Well it is actually plastic I think. But originally it was made from rattan. They also play it in Malaysia, but I do not know where else they play it. 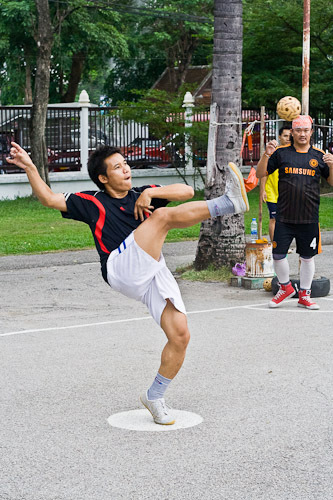 It seems that it is played throughout South-east Asia and the Philippines. One guy throws the ball to the server, who kicks it over the net and the other side has to return it. 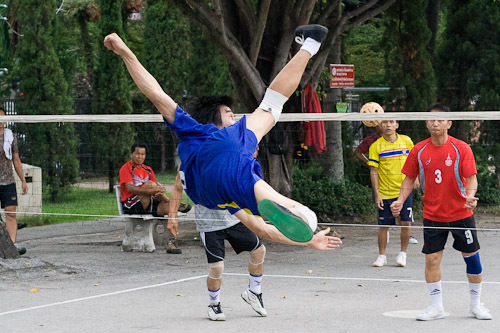 I have a feeling that the rules are exactly like volleyball but you cannot touch the ball with your hands. From one ruined city to another. 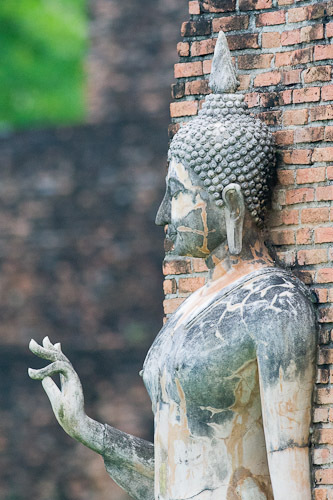 Ayutthaya and Sukhothai both have these very old ruined cities with lots of stupas and statues of Budha and lots of bricks falling over from walls. This afternoon I rented a bicycle and pedalled around the park looking for birds. 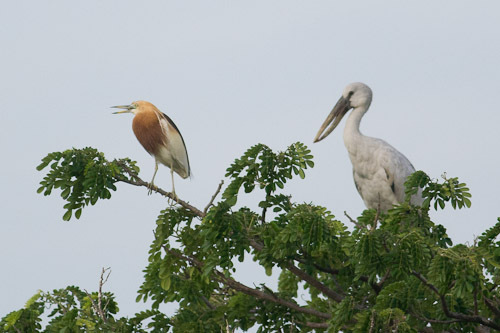 I found a few good ones, but there were not a lot of birds around the area like there was in Ayutthaya. But I guess this afternoon was more about quality than quantity because I photographed two new birds. Woot! Or Daibutsu as they say in Japan. These were in the same trees as Kanchanaburi amongst the fruit. They seem to like parks, gardens and cultivation areas. 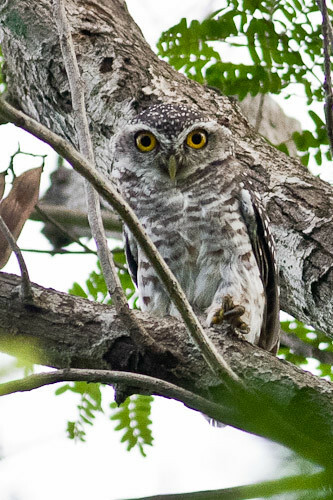 The Spotted Owlet (Athene brama) is fairly small, only about twenty centimeters, with broad white eyebrows, spotted above on the head and yellow eyes. I could not believe my eyes when I saw this small owl. It was tiny. 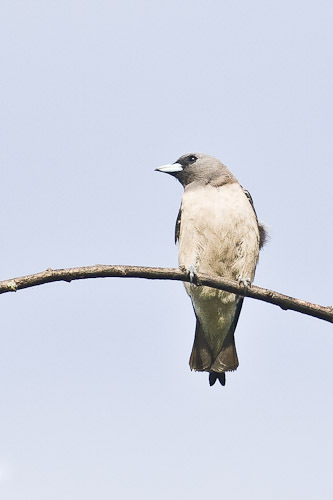 The White-breasted Woodswallow (Artamus leucorynchus) is resident from the Andaman Islands, Wallacea, Phillipines to Australia. 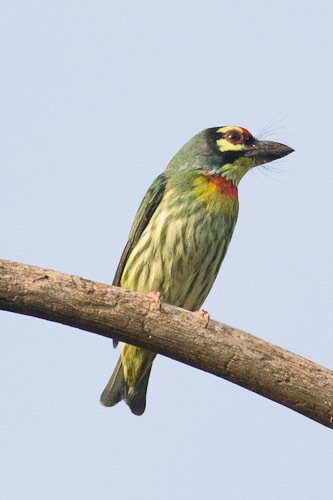 The Coppersmith Barbet (Megalaima haemacephala) has a red forecrown, yellow head-sides and throat, and black eyestripe. The yellow patch around the eyes make this bird very distinctive and easy to identify. Except for me. I mis-identified the first one I saw. 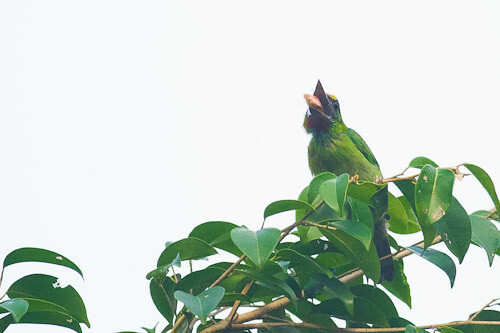 I thought it was a Red-throated Barbet. I found a sound recording of their very distinctive call. 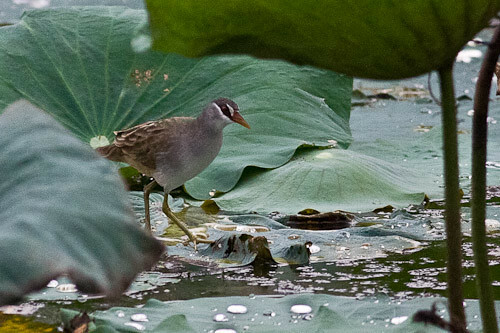 “The White-browed Crake (Porzana cinerea) is a species of bird in the Rallidae family. It is found in Australia, Brunei, Cambodia, Fiji, Hong Kong, Indonesia, Japan, Malaysia, Micronesia, New Caledonia, Palau, Papua New Guinea, the Philippines, Samoa, Singapore, Solomon Islands, Thailand, and Vanuatu.” (wikipedia). 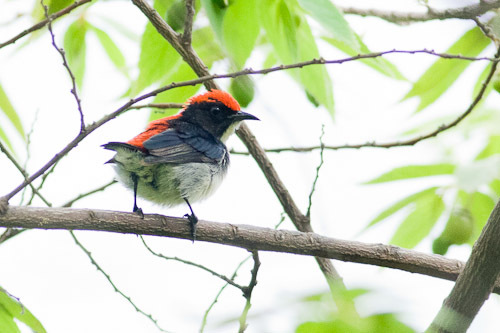 This Sooty-headed Bulbul (Pycnonotus aurigaster klossi), race klossi, is showing off his beautiful red vent, which is diagnostic for this race. Actually it is supposed to be red undertail-coverts if you want to get technical. The bikes were all locked up this morning so I had to wait until they found the key. I must say that birding on a pushbike is an excellent technique. You can get to where you are going easily, and once there you can park the bike and just walk around. 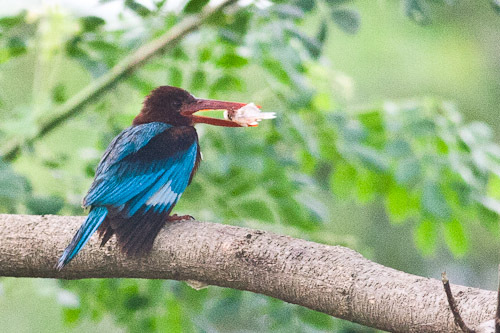 I got real excited about this bird until I realized it was a White-throated Kingfisher. I thought I had a new bird because I could not see the white front from behind. He had fish for breakfast. 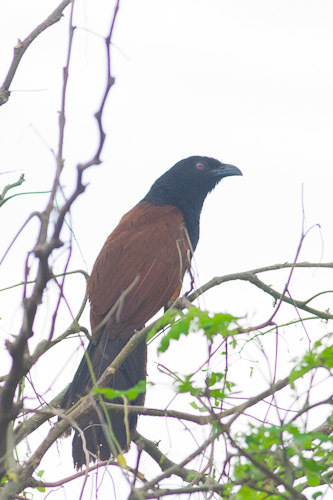 I did not get such a good shot of this bird at Ranong and it was good to see them out in the open. I am not sure if the one on the left is a juvenile. 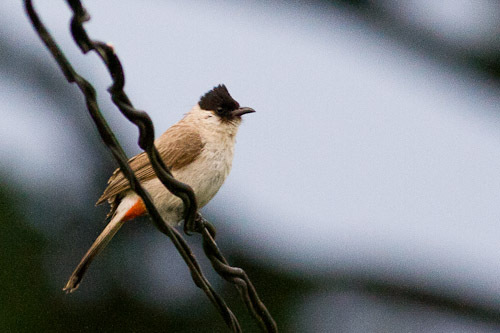 I have been seeing a lot of bulbuls around but could not identify them because they were looking so plain. 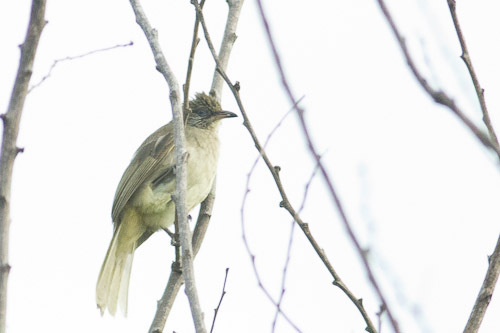 But I am pretty sure this is a Streak-eared Bulbul (Pycnonotus blanfordi), possibly female or immature. 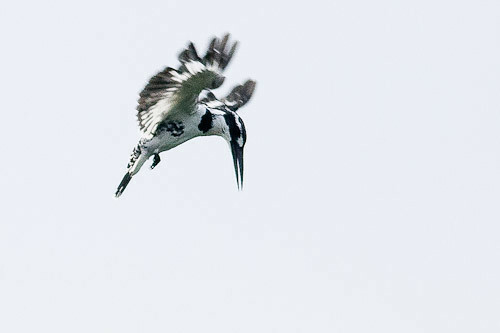 The Pied Kingfisher (Ceryle rudis) has a different method of catching fish than other kingfishers I have seen. They hover like kestrels in the one spot, and then when they spot a fish, they dive. Most other kingfishers will perch on a tree branch above a river or lake and then dive from there. I came across a nest near a pond and then saw the bird coming in and out of it. 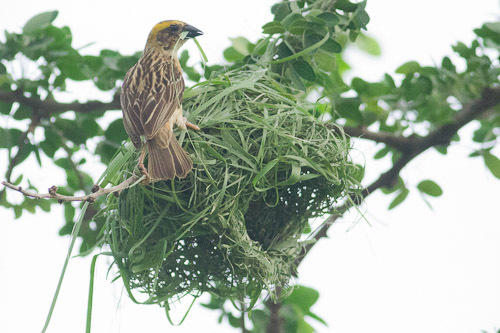 I thought it was a Baya Weaver at first because that was all I knew. But on consultation with Mister Robson, I ascertained that it was an Asian Golden Weaver (Ploceus hypoxanthus) because of the black sides of the head and throat. 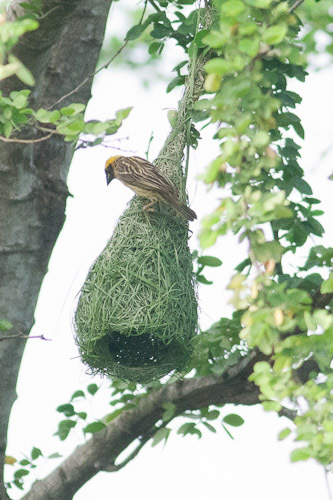 The female is very similar to the Baya Weaver. Here is the female making a different shaped nest. They really do weave. I have been seeing lots of these Red-wattled Lapwing (Vanellus indicus) in ploughed up fields. 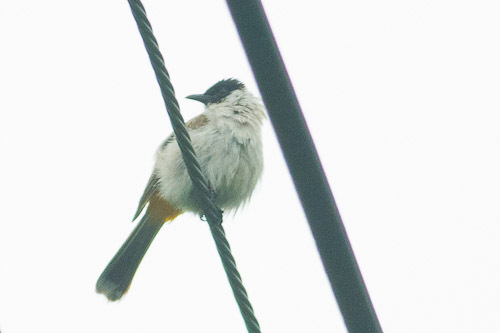 This has been an elusive bird in Thailand and I have not got a really sharp photo of these yet. The reason may be their skittishness but also because they blend in really well with their background and there is not much contrast for the auto-focus to work properly. The way to tell the non-breeding Javan Pond-heron from the Chinese Pond-heron is that the Javan Pond-heron has white outer primary tips. Whilst the non-breeding Chinese Pond-heron has dusky primary tips. I only managed to make it to Ayutthaya today. I was going to Sukhothai but the busses were not very congenial. I caught a really slow bus this morning. It took me two and a half hours to go one hundred kilometers. There are heaps of old buildings around here. 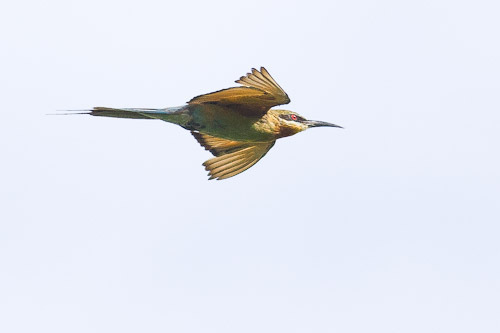 I managed to photograph a Cinnamon Bittern (Ixobrychus cinnomomeus) in flight and get it out of focus. 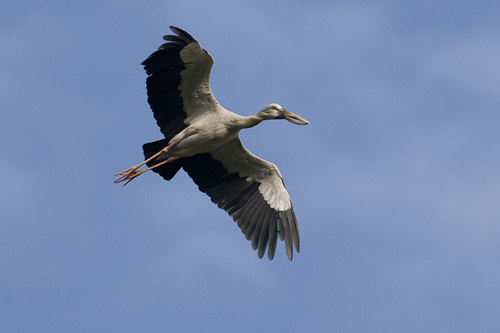 There are thousands of Asian Openbills around here. Them and Cattle Egrets can be seen a lot on the rice paddies. 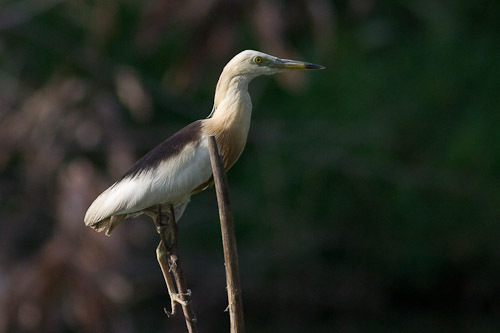 Here is a Javan Pond-heron in breeding plumage. This is this morning’s go. I walked along the train track for a while, then I came back and followed a road into the bush with scattered farm lands around. I was quite surprised with what I came up with. 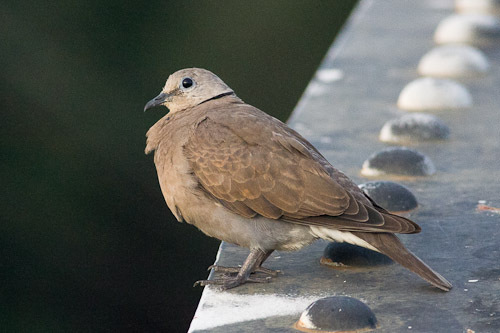 This Red-collared Dove (Streptopelia tranquebarica) was sitting on the bridge as I walked over early in the morning. 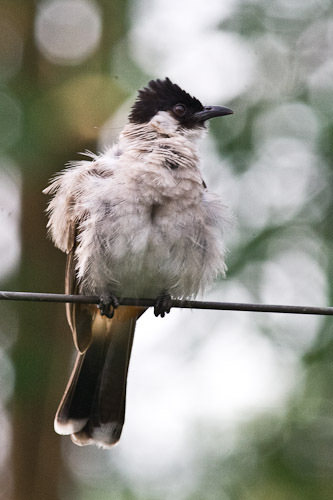 This Sooty-headed Bulbul is race klossi as it has the red vent. 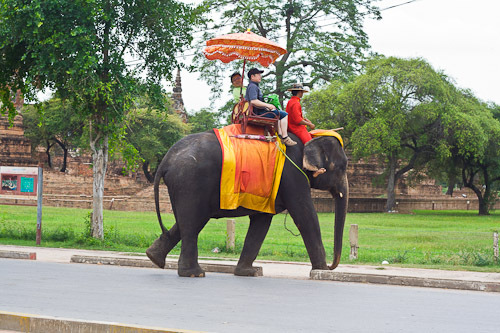 They have been seen in Chiang Mai, so that is a bit far away. I will see if I can find one a bit closer. Nope, cannot find anything on it online. Here is a sound recording that I found. I also photographed Pycnonotus aurigaster thais, which has a yellow vent. So it seems both are in the same area. This is race thais, note the yellow vent. 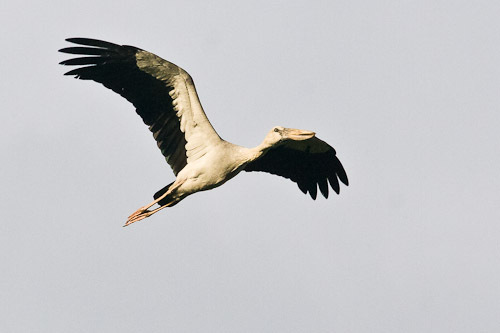 The Asian Openbill is in the stork family Ciconiidae. 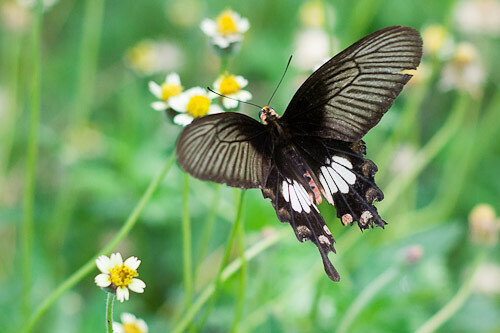 They are a non-breeding visitor to Thailand. The gap between the mandibles is diagnostic and readily apparent. Later on I saw about four Indian Rollers (Coracias benghalensis) in flight, circling high overhead with I think what looked like a Dollarbird. This one led me a merry chase. Was it a thrush, a skylark, a bushlark. 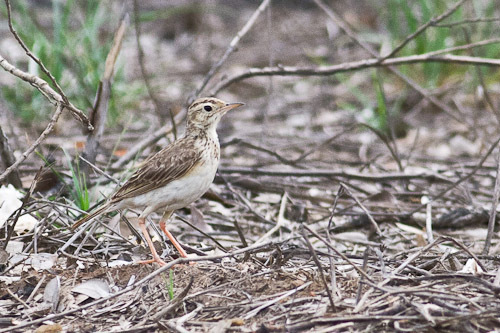 Well I am going for the Indochinese Bushlark (Mirafra erythrocephala). 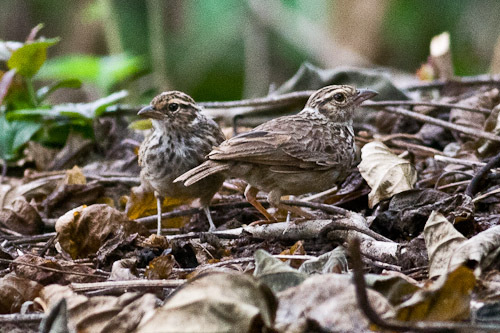 The range of the Indochinese Bushlark (Mirafra erythrocephala) extends over a large area of South-East Asia, in Myanmar, Thailand, Cambodia, Vietnam, and Laos. I caught this one out in the open. They are usually skulking behind branches high up or lurking near the ground. 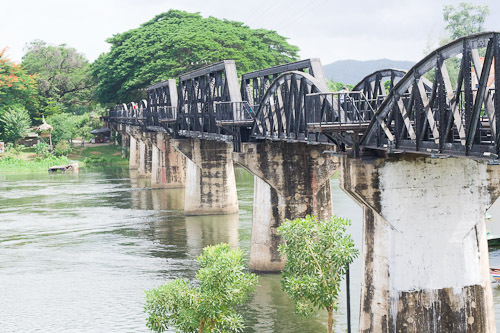 A couple of mini-vans later and three hundred baht poorer, I arrived at Kanchanaburi and proceeded to the Bridge on the River Kwai to have a look. 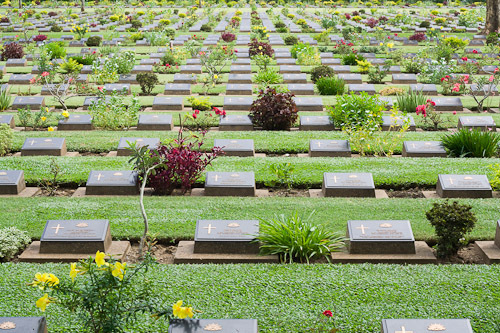 I rented a push-bike for a couple of days and rode into town and on the way stopped in at the war cemetery where I paid my respects to the diggers who lost their lives building the railway. 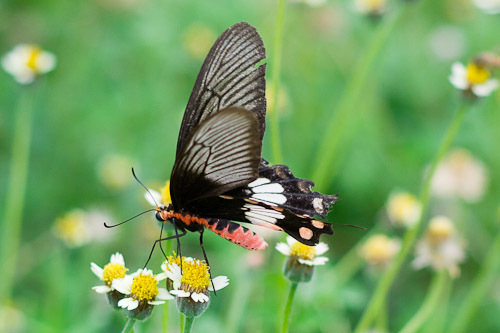 Later on, I found some nice butterflies so I thought I might have a go photographing them with the 50mm lens. I was quite pleased and surprised at the result. Here is the side on view. I thought I should put it in seeing as I got both views. 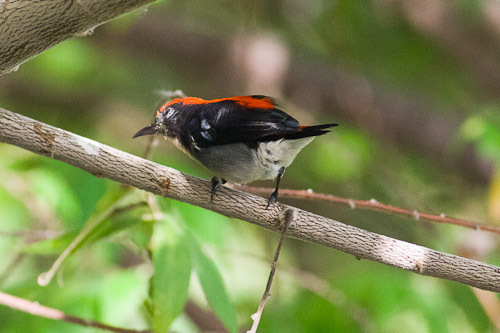 This Scarlet-backed Flowerpecker (Dicaeum cruentatum) was flying around in a tree with some fruit near my bungalow. He was flitting around really quickly so it was difficult to get a decent shot. 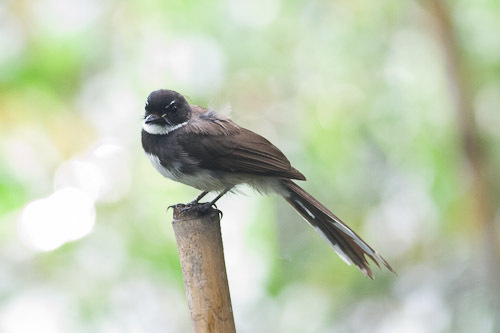 There were a few Pied Fantail (Rhipidura javanica) in the reeds near the river. I have been trying to get a decent shot since Krabi. Still not quite there though. 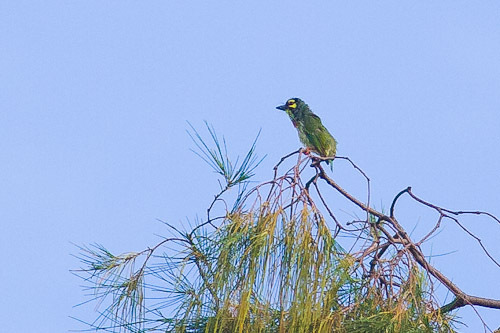 At first I thought this was a Lineated Barbet, but after a good look, no it is a Coppersmith Barbet (Megalaima haemacephala). 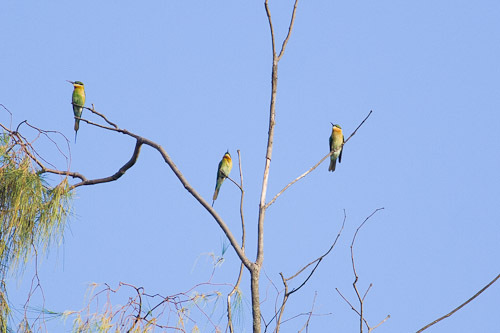 Still have not quite got an excellent shot of the Blue-tailed Bee-eater (Merops philippinus) yet but here is a few of them up a tree. I will keep trying. This one gave me a real head-ache trying to figure out what it was. 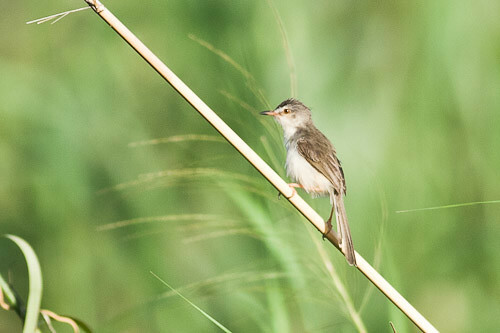 At first I thought it was a cisticola, bush-warbler, or a reed-warbler – but it did not have any stripey bits on the head or back. Then I looked at rufescent prinia but it was not red enough. 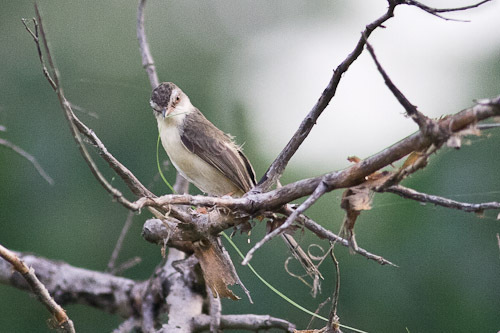 Grey-breasted Prinia? Cannot see the grey breast. I finally worked out that it was a Plain Prinia (Prinia inornata) . Whew! 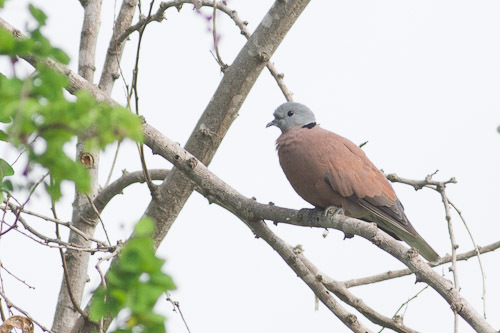 There are heaps of Red-collared Dove (Streptopelia tranquebarica) around here. 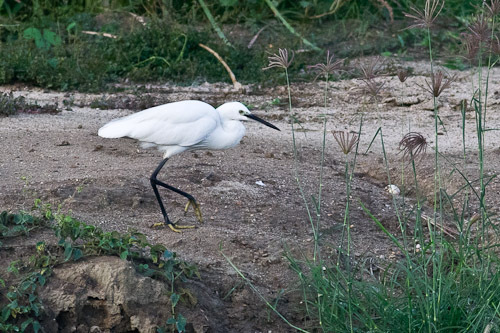 The Little Egret (Egretta garzetta)a has black bill, black legs, and yellow feet. Therefore it is a non-breeding Little Egret. 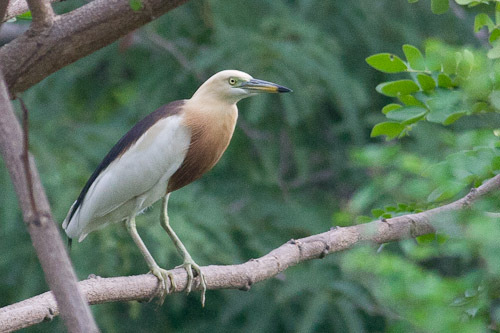 I also saw from a distance what I thought might have been a few Chinese Pond-heron (Ardeola bacchus). 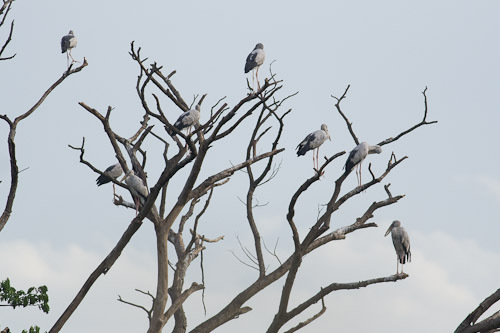 They are seen in Kanchanaburi. But this were definitely not ones. So strike that one. 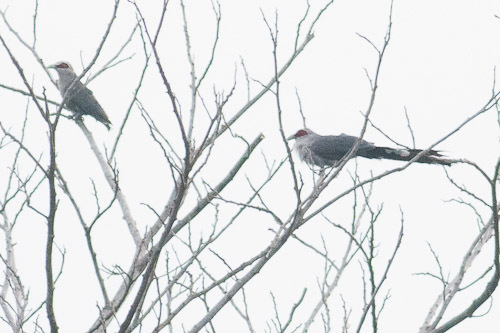 Very late in the afternoon I saw what I thought was some type of cuckoo. Was it a Large Hawk-cuckoo, but nooo, it was a female Asian Koel. doh! I took 446 photos today. That is the most I have taken on my trip. I am usually very conservative to make sure I have enough disk space and battery left if I see a new bird at the end of the shoot. It has taken me all day to process these photos. Whew! I am knackered. 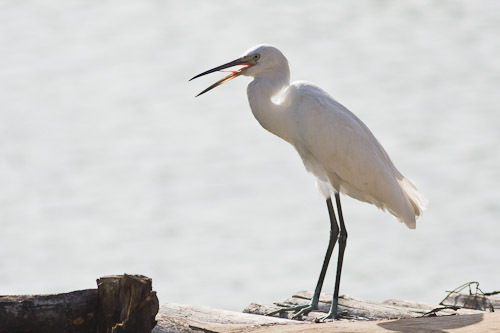 I saw both morphs of the Pacific Reef Egret (Egretta sacra) today – white and dark. Do they usually hang around together? I have often seen both morphs in the same area on the same day. 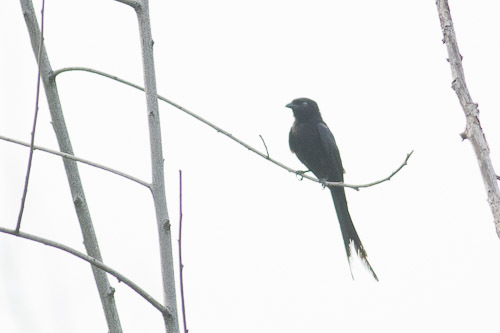 Dark morph has yellow eye, yellow tip of bill and yellow feet. So does the white morph. 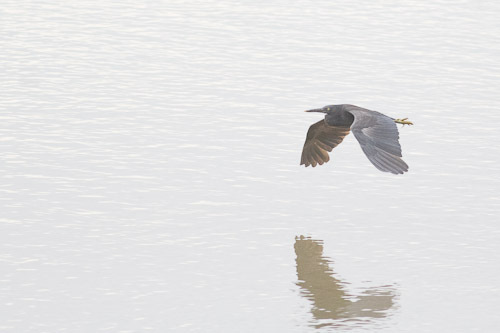 Quite a few Litte Herons were hanging around near the oyster leases on the river. 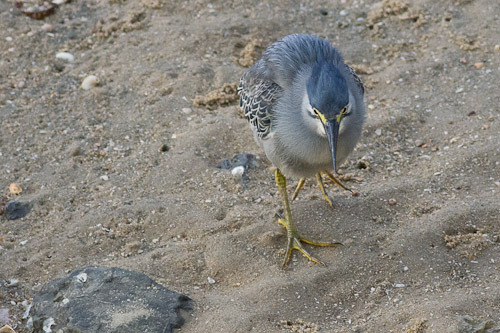 This one was looking for a feed on the beach near some rocks. 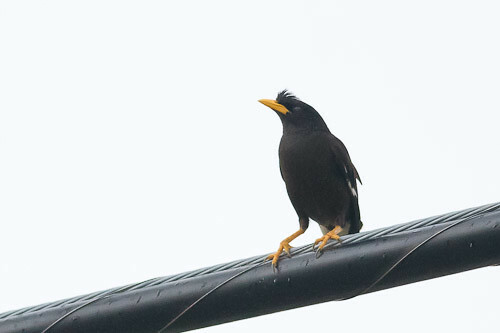 The adult White-vented Myna has “Yellow bill, tufted crest, reddish eyes and uniform slaty-black plumage with white undertail-coverts…” (Robson). I think the Thai ones are different to the ones we have in Australia. Will have a good look at that question. I just had a look at one of my photos from home. The Aussie ones have a black patch at the back of the head. It seems the taxonomy is a contentious issues. Some people contend that there should be 5 distinct species. 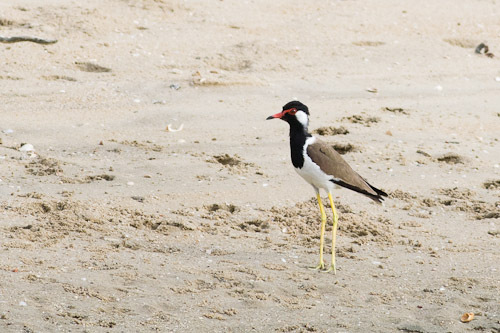 Our Australian White-headed Stilt is Himantopus himantopus leucocephalus. Robson has them as separate species. 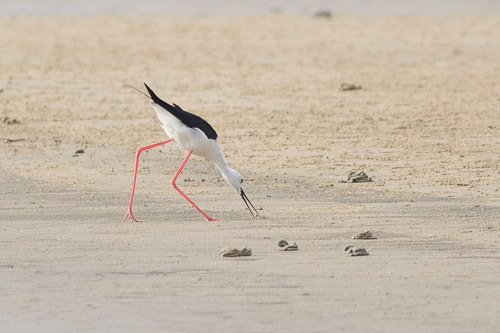 Breeding males of Himantopus himantopus himantopus have a pure white head. These ones seem to be breeding males. 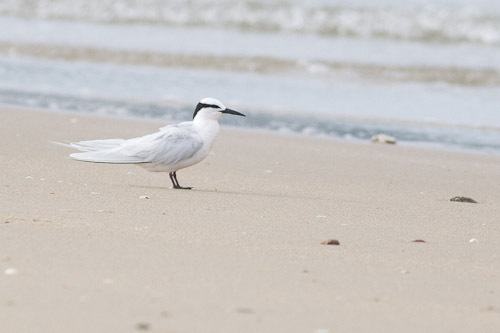 Checking range for the Black-naped Tern in Thailand. They were seen south of here at Koh Phi Phi. Yep, according to Avibase they are seen in Prachuap. 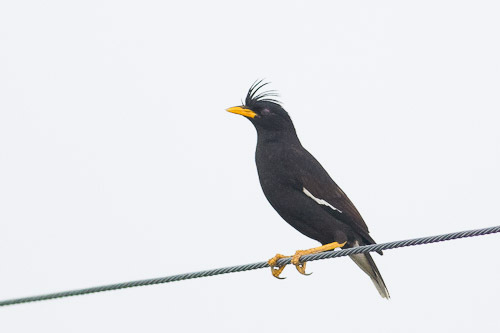 They have a very defined nape band of black in breeding plumage, with black bill and legs. In breeding plumage, the Little Tern has a yellow bill with black tip, and a well defined forehead white patch. 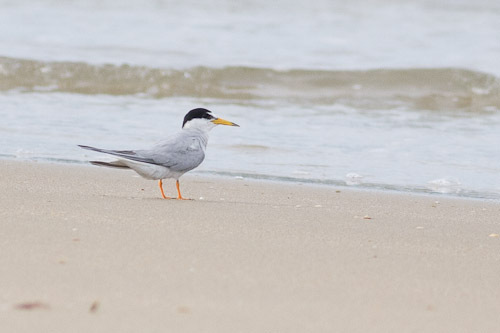 Non-breeding Little Terns have a black bill and indistinct forehead line. Lapwings are pretty unmistakeable. 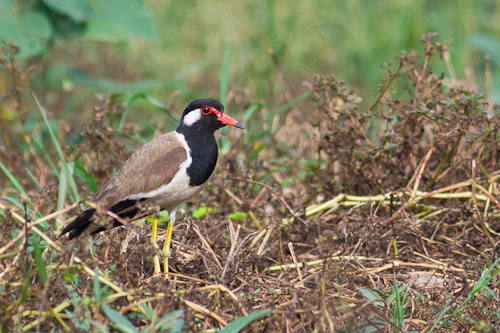 The Red-wattled Lapwing has a black head with a white patch behind the eye, and a red patch or wattle in front of the eye. Is it one of these? I will look up the internet to see if there have been any sightings around here in Thailand. Yes they have been seen in Thailand so that is good. 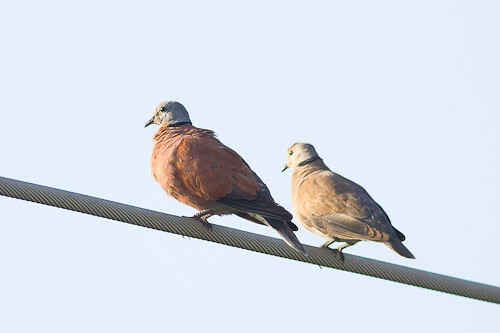 The male Red-collared Dove has the russet back, whilst the female’s back is mostly brownish. 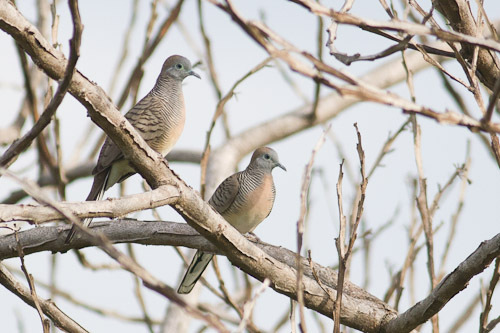 Are the Red-collared Dove and the Eurasian Collared Dove (Streptopelia decaocto) both seen in the same area? These are seen here. Both are seen here. So I did see both of them. 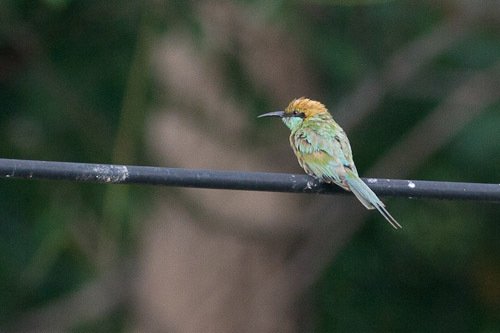 I saw the Blue-tailed Bee-eater yesterday so I was hoping to get a shot of one of them but I saw this one instead. 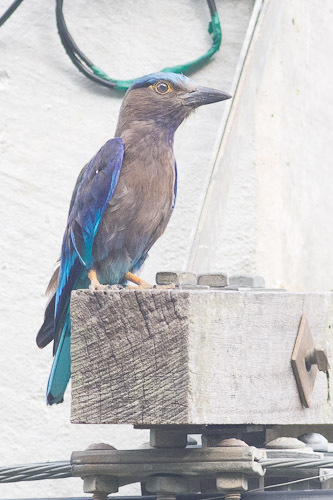 “Indian Roller is a common bird throughout Thailand and seems to favour drier country although it will also be found in smaller numbers in wetland areas”. (Nick Upton).